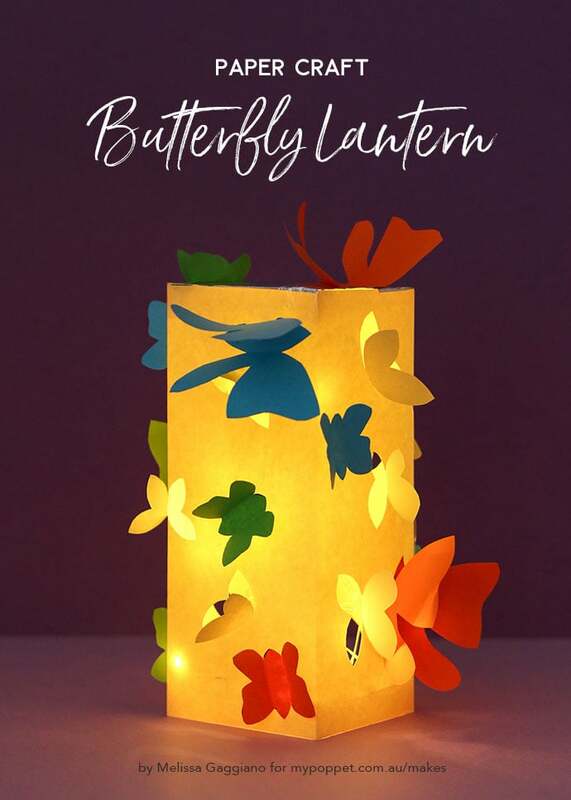 Make a beautiful Butterfly Lantern to decorate your room or workspace with just the humblest of craft materials – paper! 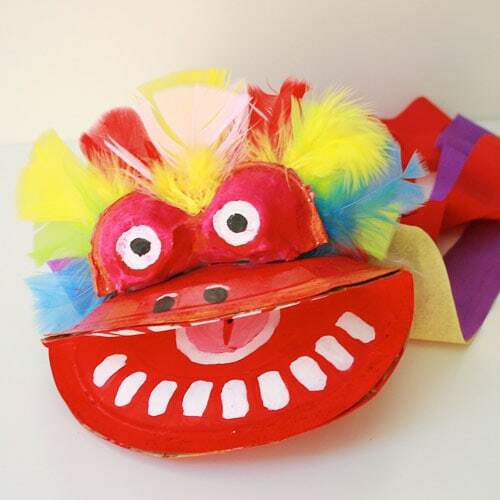 It’s a fun project that both kids and adults will enjoy making. Used floral or patterned scrapbook paper to personalise the design to match your home decor. Have you ever visited a butterfly house? It’s a delightful experience full of fleeting moments of joy. The purest of those is when a butterfly chooses to land on a child’s head. It’s tempting to want to take a photo, but in the few seconds you fluff around with the camera, the butterfly has moved onward. The moment has passed. Some things, I suppose are only meant to be captured as memories. 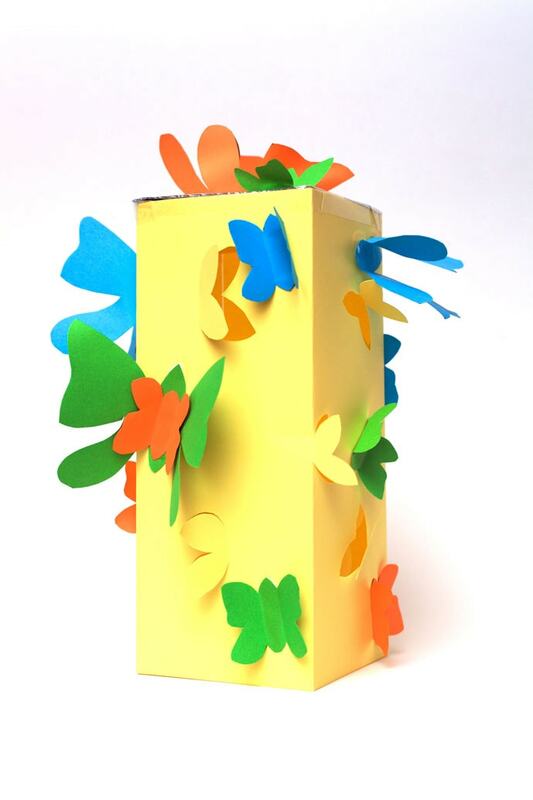 Today I have for you a paper lantern project that celebrates the beauty of butterflies. 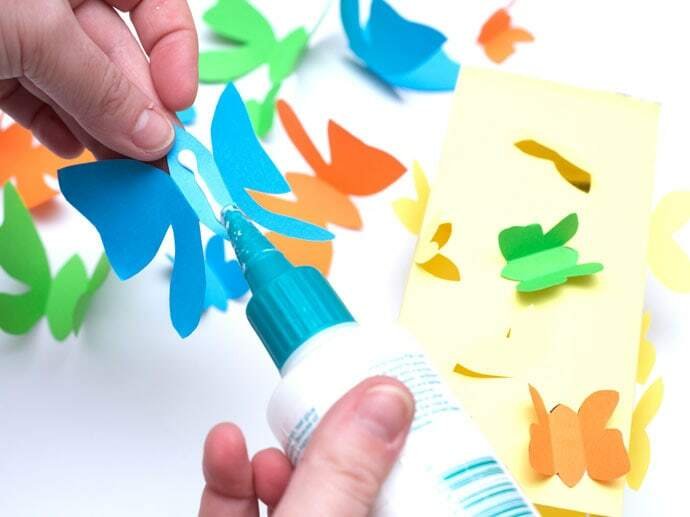 Unless you have lepidopterophobia (the fear of butterflies), I think you will agree, this butterfly craft is something very pretty to make. 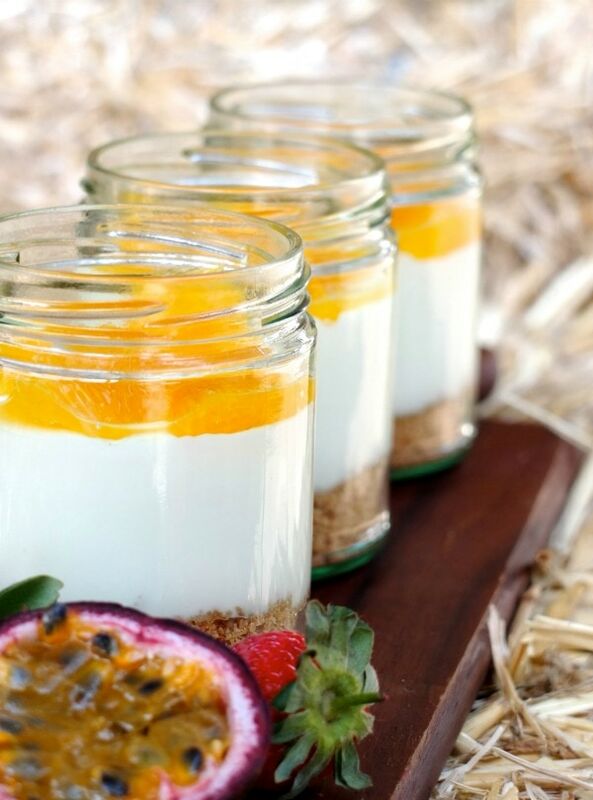 Pair it with an LED candle and you have a lovely gift for Mother’s Day or a Teacher’s Gift. 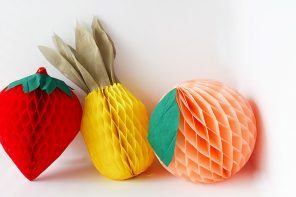 It would also look very pretty as part of a table centerpiece at your next party or special dinner. Just remember no real candles – fire and paper don’t play nice. 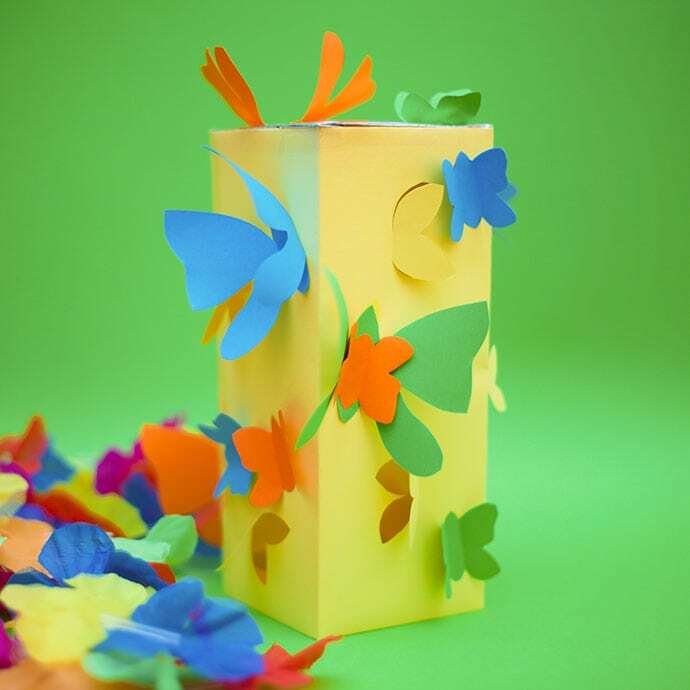 To give this paper butterfly lantern a little more decorative sparkle, you could try making the butterfly pieces with ornamental paper. Or, perhaps use glitter glue on the lantern walls and butterflies. 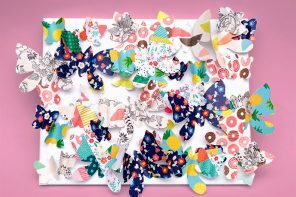 1/ Print template at 100% on three different pieces of colour paper, and cut out the paper butterfly pieces. 2/ To start with, decide which A4 sheet is going to be the lantern base. 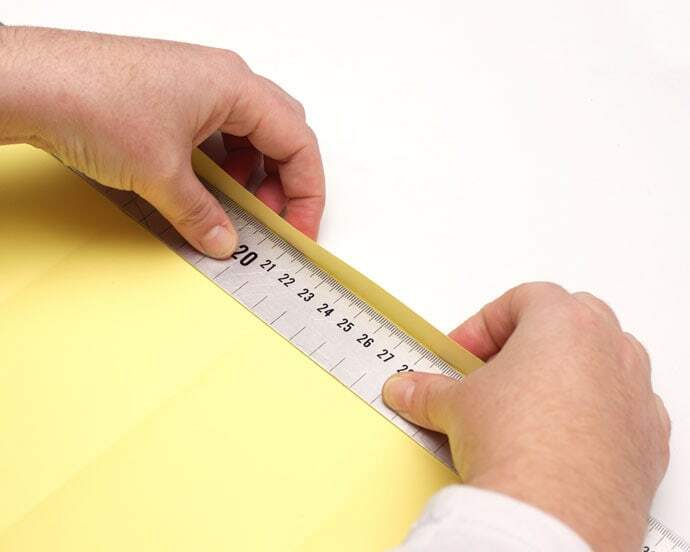 Take this piece of paper and fold it inward, at a measure of 7.5cm, then repeat twice. 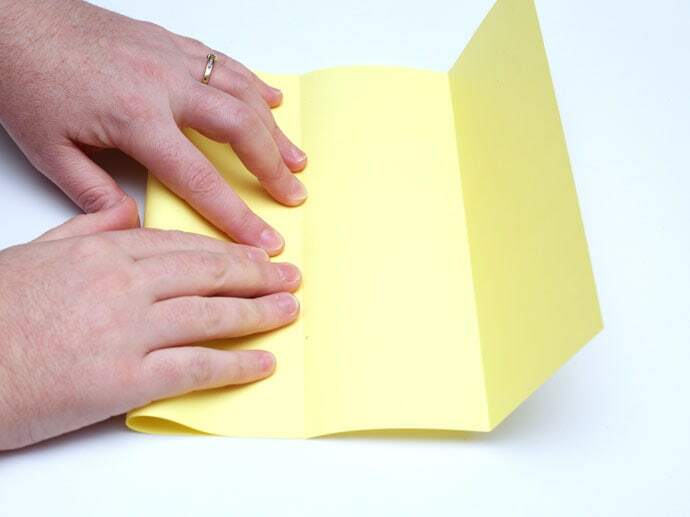 3/ Open out this sheet, and then fold the top and bottom edge 1.5cm inward. 4/ Place the folded sheet on the cutting board. 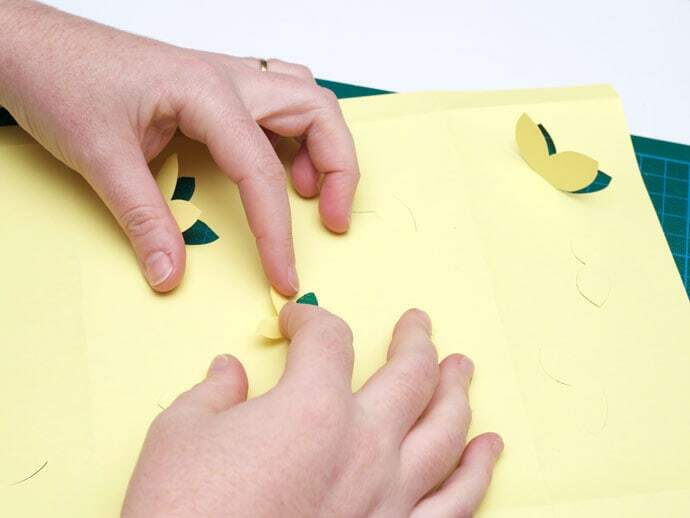 Using an art knife, cut out half-butterfly outlines randomly throughout the sheet. See the template reference marker for the half-butterfly. 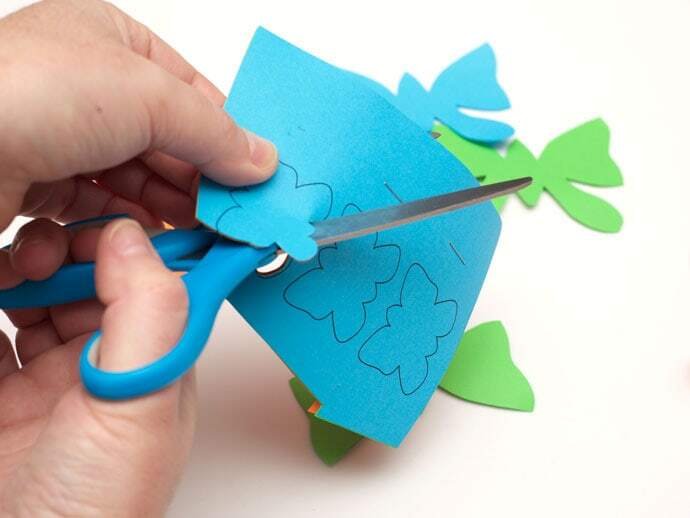 Fold the half-butterfly cuttings, outward. 5/ Refold the A4 sheet along the three fold lines created in step 2. 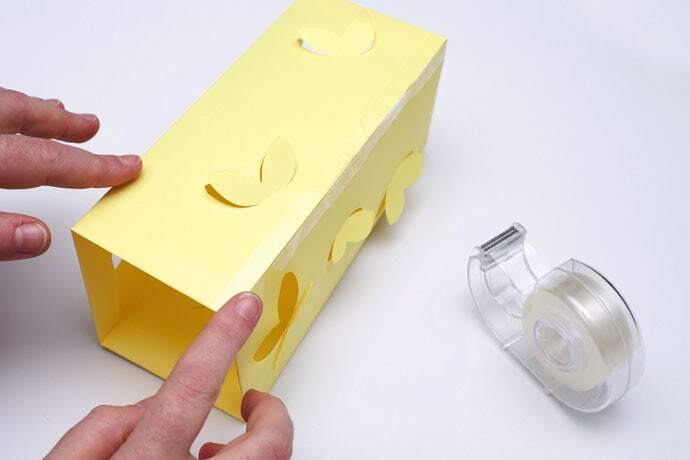 Tape the ends of this paper together, creating a lantern base. 6/ Take the foil scrap and fold it down into a 7.5cm square flat sheet. 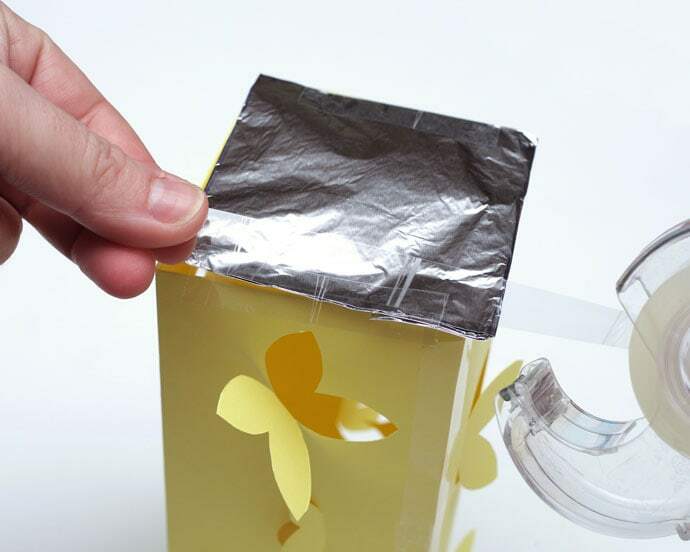 Tape this square foil piece to the top of the paper lantern base. 7/ Fold he butterfly wings that you cut out in step 1, and glue the body sections to the sides of the paper lantern, in random spots. 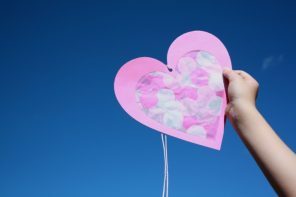 8/ Place the butterfly lantern over a battery operated light. Voila! 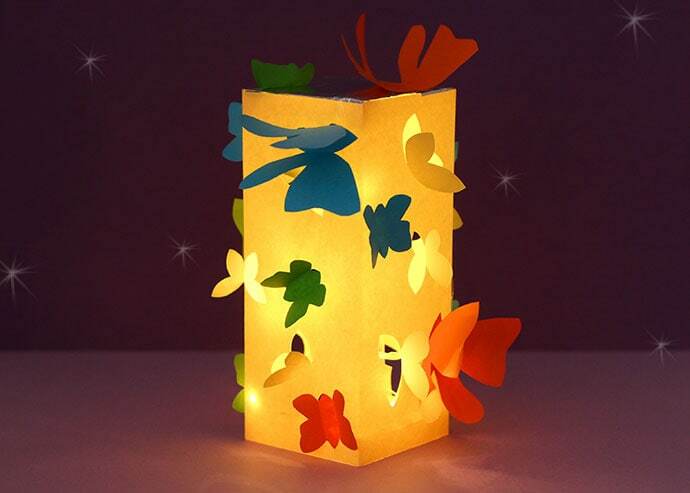 You have yourself a gorgeous paper butterfly lantern that casts pretty shadows around the room. 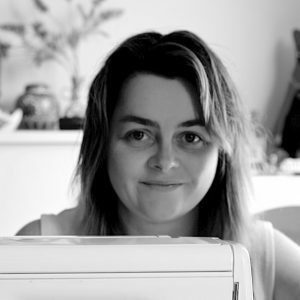 Melissa is a multi-passionate artist, enjoying doll design, writing, drawing, and photography. She also has a healthy interest in pop culture and culture in general. 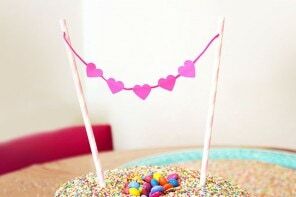 Your crafts are always so cute and clever. These butterfly lanterns would be lovely on a summer party table. Thanks so much Priscilla. I most appreciate that. And, I can just picture that summer party table. Oh, that is so pretty! Love it!